Failure/Rejection (on small scales) are probably in your near future, and that’s a good thing. There are more lessons to be learned in rough waters than when it’s smooth sailing. Remember Newton’s First Law: An object at rest stays at rest unless acted upon by an outside force. A little adversity here and there will not break your business — depending on how it’s handled, it can actually help your business grow. There’s something to be said for a healthy amount of risk-taking, too. The first 2 years are usually the hardest. This is a good stat to keep in mind as you develop your business plan, especially budget-wise. Remember — if things don’t go the way you planned, don’t worry. It’s fairly common for businesses to struggle in their early, formative years. Don’t be afraid to ask for help. 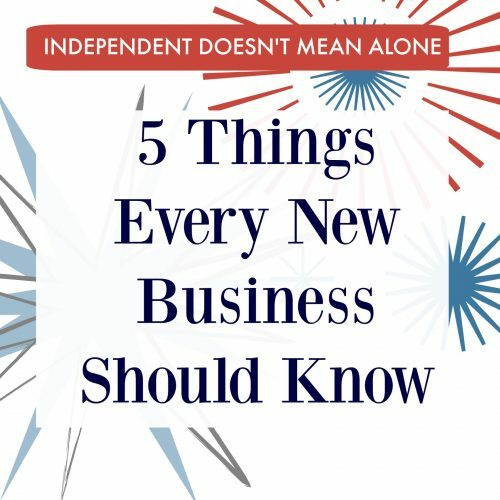 As a small business owner, you’re probably used to doing things on your own. However, that doesn’t mean you need to isolate yourself. There are lots of resources for small business owners. Remember to ask people in your network for advice. Take a look at our post on Automating, Delegating, and Outsourcing to develop ways to include others in your day-to-day work life. Show, Don’t Tell. To build both your business’ trust and reputation, showing is better than telling. Marketing and advertising are important to spread the word about your business, but performance and delivering quality products and services are more important. No amount of advertising makes up for a poor product, and there’s no substitute for trust. Learn to be efficient with your time. It can be easy to become a martyr for your business. But isn’t it better to work smarter, not harder? Part of this involves delegating and outsourcing as mentioned earlier. Take charge of your schedule in a way that’s productive but keeps your sanity intact. Develop systems, stay organized, and jettison anything that doesn’t serve a purpose. Here are some posts we’ve written regarding efficiency, including systems and getting organized. If offered a choice between moving and getting my eyebrows completely waxed off while being taunted mercilessly by a group of middle schoolers every day for a year, I’d have to think about it long and hard. This is how much I hate moving. I’m just not a fan of physical labor, preferring to spend my spare time falling asleep watching Netflix under a fine coating of Cheetos dust. Plan ahead. 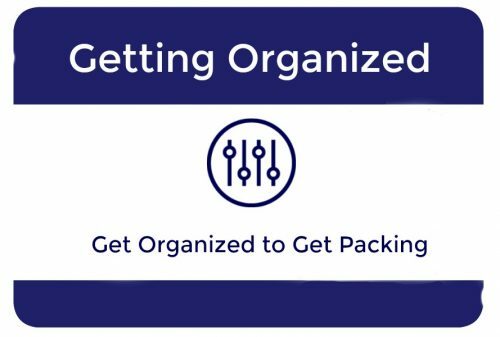 Create a schedule for packing, loading and unloading, unpacking and cleaning. Put in for some paid time off at work so you can focus on your move. 2. Budget! Figure out a budget for moving costs including truck rental, insurance, gas and movers — plan a contingency for unexpected but inevitable extra costs. 3. Heeeeeeey yooooooou guuuuuuuys! Did you remember to call the electric company and other utilities and tell them about the move? What about a change of address at the post office and a word with your internet service provider? 4. Dump the clutter before packing. “When in doubt, throw it out.” Whoever thought of this axiom should get a medal. Another good rule of thumb is that if you haven’t seen it, used it, or thought of it in a year, it’s probably not worth holding onto (family heirlooms and photo albums excluded. The best way to cut down on hassle while moving is to have less stuff to move. Start planning your trips to the Salvation Army and Goodwill Store. Someone is going to want your embarrassing Hummel figurine collection that you inherited years ago against your will. Depending on where you live, some charitable organizations will even come to your residence and pick up unwanted furniture you don’t feel like taking with you. 5. Boxes! Boxes everywhere! Large or small, most stores will be happy to donate to you their gently used cardboard boxes. Liquor stores, big box retail, corner stores — they’re pretty happy not to have to put the time and effort into recycling cardboard boxes themselves. 6. Invest in a tape gun. Also, invest in more tape than you think you’ll need. Sharpies, too, are indispensable. Label EVERYTHING. 7. Don’t be intimidated by the giant moving van. You don’t even have to know how to drive a stick. Just take it slow on the road but make sure you’re insured. 8. Know when to call in the pros. Movers and packers can be expensive, but often times worth it, especially if you have a lot of stuff, little time and no available friends. Plus, it’ll save you from having to invest in a back brace. We just wrote a blog post about a week ago about organizing computer files. You may wonder, if your phone is basically like a pocket computer, why would we treat this differently? Tip 1: Find ways to get stuff off it automatically. When was the last time you plugged your phone into your computer and backed it up? Oh, never? Yeah, me either. What you need is an insurance policy for what’s on your phone that should come off your phone very regularly that you want to keep. For me, it’s photos and document scans. Once downloaded, I can delete and know 1) I’ll have more space on my phone and 2) if my phone dies a sudden death, I can still get at everything I need. Tip 2: If you don’t know what the app is for, delete it. Your iTunes App account (or Google Play account I’m sure) saves records of what you download so worst case scenario, you can download it again later if you decide you need it after all. I have a similar rule for songs on my iTunes: if I play the first ten seconds and a) I don’t know what it is or b) really like it, off it goes. It seems silly but every time you scroll by that app and wonder what it is, that’s another ten seconds of your life wasted. A lot of apps mean a lot of periodically wasted ten seconds, which adds up. Tip 3: Turn off notifications you don’t need. Nothing makes me feel overwhelmed more than looking down at my phone and seeing all the red notification dots (let alone the numbers inside them). Usually when you install an app, the notifications come turned on. But do I really need to know my friend Shane just saved $1 use the Ibotta app? Nope. Take the time and turn off notifications that annoy you (which you can do in your phone settings and/or the app settings). 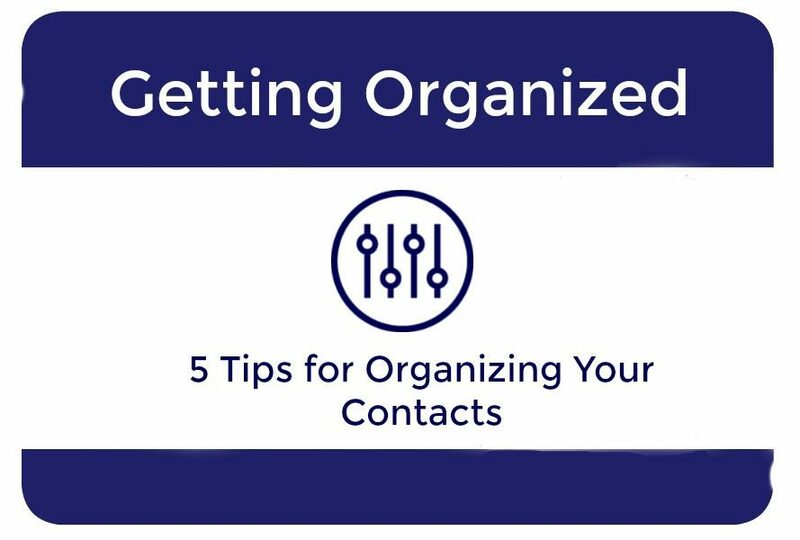 Tip 4: Organize your contacts (with a better system than what came with your phone). If you are like me and have lots of duplicate contacts, finding a system to manage them (even paying a few bucks for a good app) is going to save you time and headaches. I know, your phone came with a contacts management system… but your Windows computer came with Internet Explorer and did that stop you from using another (better) browser? No way. Organizing your contacts means when you are ready to throw a party or simply do your part in the calling tree, the task takes less time and all that saved up time you can do something way more fun with. Tip 5: Regularly look at your ‘storage’ and ways you can cut down on it. Just like anything, running your phone with some storage space to spare is going to make it run better. If I can keep 4-5G free on my phone, that not only makes sure my phone runs better but that I don’t run out of storage as I’m trying to film, say, my niece’s concert. How many times have you had to quickly delete stuff off your device only to miss a moment? My culprits for heavy storage usage are music (currently 21G), Messages (6 G) and Podcasts (5G) so it makes the most sense to start deleting there in my case. By keeping your phone clean, you can use it more effectively, like a tool in your business and life, versus some junk drawer you have to dig through. How long does it take for you to find a password for something? Do you have passwords written down on sticky notes or on a random piece of paper in a desk? The problem with this system is that it isn’t very secure, and it probably takes awhile for you to find the password you need. Or, you just get so frustrated with looking for it that you’re constantly requesting new passwords. Either way, you could probably benefit from some password organization. (Also, if you have one password for everything…that’s not a great idea either, for security reasons). Step 1: How are you organizing? The first step with organizing is figuring out how you’re going to organize things. Are you a more of a digital person or do you want to keep things on paper? The number of passwords you manage (i.e. just your own personal passwords or, like us, hundreds and hundreds) may also be a deciding factor. It doesn’t make sense for us to write down all the passwords we manage on index cards when you consider the time it takes to 1) haul out the index cards, 2) find the client password for the thing we’re getting into (website, Twitter, etc), and 3) enter in the password- add that time up even just over the period of a single day, and that’s a lot of inefficiently used time. Not to mention if you lose the stack and have no copies of it, you are totally up the creek. Whatever you decide to do, remember that any new system takes a little practice getting used to. Choose either digital or written as your general method and move onto step 2. Paper system: If you don’t trust your passwords in an electronic system, you can always use a paper system (sorry, but still no sticky notes). Lifehack recommends using index cards in a small box, or something like an address book to keep your passwords organized (ex: A is for Amazon). Unfortunately, unless you have this paper system locked away somewhere, it is still vulnerable to anyone who might stumble upon it. Consider how it will be stored when you aren’t using it. Electronic Systems: Many of these systems offer a free option (great for personal password organization) and paid versions (if you manage a lot of passwords). A few things that these programs have in common: a master password for accessing your collection of passwords, browser extensions, extra security in the form of two-factor authentication, and accessibility across devices (most will not automatically sync for security reasons). A few popular options for electronic systems include: LastPass, KeePass, 1Password (offers a 30 day trial period but costs money for individuals, families, and teams), and Sticky Password (which also has biometrics so you can login using a fingerprint). My advice is to figure out what things are important to you (cloud backup? accessibility on all devices?) and do a little research for the best possible match. Note: nothing will be perfect unless you build it yourself so just pick something and learn what you can about it. For us, entering client passwords into KeePass initially took awhile. As with any new system, setup tends to be the most tedious/boring part, but it’s an important part of the process that you will thank yourself for later. Whether you’re entering 5 passwords or 500, this is one of those tasks that you can set yourself up watching a favorite t.v. show or movie and crank out some work. In other words, find your own way to embrace the initial data entry involved. It can be fun if you let it. If you use an electronic system like one mentioned above, make sure you are saving and backing up databases as you go if you’re entering new passwords on a regular basis. Having a password protected backup file of the database somewhere is also a good idea in case you accidentally delete something you actually need. If you are using paper, you’ll want/need some way to duplicate your file on occasion. Paper backups are needed just like digital ones so a photocopier or a scanning app on your phone could be your best friend for this task. Keeping your passwords organized is important- even Martha Stewart has written about the matter. It will save you so much time to have it all in one place, plus you can use the data entry time to get caught up on your favorite television shows. Sometimes, I think the universe assigns me these blog topics on purpose. I run two businesses, have a few personal projects, and some social correspondence which means I check about ten different email addresses from one interface. This can get a little overwhelming. A few weeks ago, one of my friends helped me move everything into a Google Apps account which meant that suddenly, the kind of band-aid system I had in place became apparent because EVERYTHING was getting dumped into my inbox at once. Tip 1: Make a generic Gmail for some purposes (you can have it forward to a spot in your real email that’s not your inbox). One thing I’ve learned is lots of people have been spoofing my domain, sending email and pretending to be affiliated with Breaking Even. But if like me you made accounts that send auto-updates (ex: automated backups in Wordpress) with your usual email, then you are out of luck. I had to move these to a generic Gmail. Switching things like this and online shopping accounts, etc. to a generic Gmail can filter the non-work (i.e. non-productive) stuff to another area before it even hits your work email. Tip 2: Use Unroll.me or similar service to batch your marketing emails. Unroll.me is a free service that connects to your email and pulls in any marketing emails. From the interface, you can select which ones go to your inbox, which ones get ‘bundled’ for a once a day delivery/processing, and which ones you want to unsubscribe from. With over 1800 email subscriptions (many of which I swear I didn’t even sign up for), this has been a huge timesaver for me. And if you run a local business or non-profit, you can tell people about this and make sure your emails get in your customers’ inboxes (if they want them to anyway). The easiest way to organize something is to organize how (and if) it comes into your life. With filters, I can have things from certain clients go into certain areas of my email, meaning I can batch tasks. Much more efficient than dealing with a mass pile of email looking for one particular thing. Filters may seem like a technical thing to set up but most of the work is just deciding how you want to get information. Here’s how to create filters in Gmail and other popular services. Tip 4: Templates are your friend. I don’t know anything about X service. What do you do? I have a Google Doc called ‘Email Templates So I Don’t Have To Rewrite Them All the Effin Time’. I never remember exactly what it’s called but I can always find it via the word ‘effin’ in search. (Whatever works for you.) Taking the time to thoughtfully write these once and use them over and over will save valuable brain time. Part of my template says ‘INSERT PLEASANTRY HERE’ which allows me to add a personal touch before clicking send. 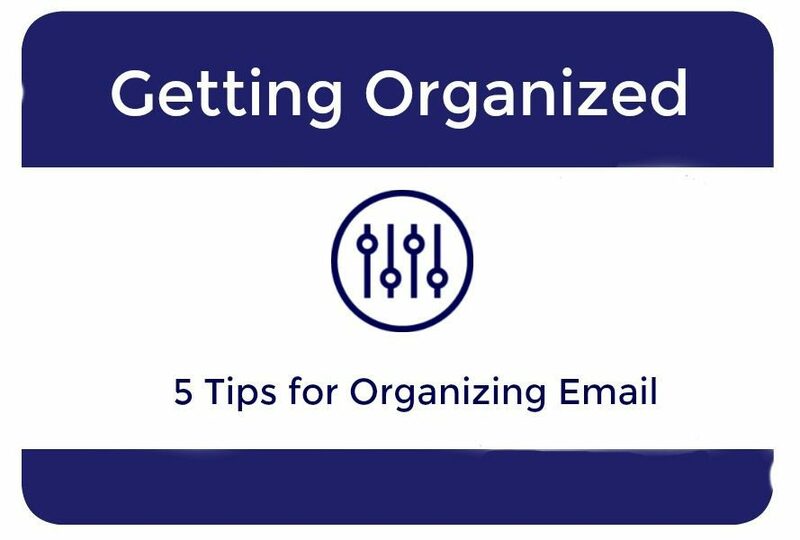 Tip 5: Find your most soul sucking email task and see if you can automate it. Is it sticking reservations into a Google Calendar? Scheduling meetings? Sending out weekly Google Analytics reports to the team? All these things can be made automatic. For me, my email used to be a place of some excitement… and as it turned to more dread, I realized why. It was because I was spending an average of 7 emails to schedule a one hour meeting. Then I got Evie and she schedules things for me, and it’s lovely. Point is, since I got rid of the thing I dreaded most in my email, it has become a lot funner of a place once again. The thing you hate the most about your email may be something you can have automatically happen. Give it a shot. Email is here to say; it’s part of all our lives and by helping get it under control, we can feel more organized about a lot of our digital lives.